At Atwater’s, we keep our food local and fresh. We make no exception with our jams. Jenny, our jam expert, oversees everything jam. 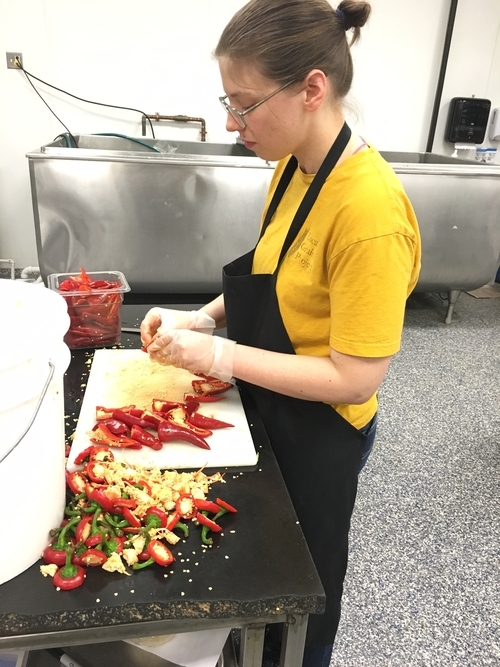 To make the perfect batch, Jenny and our jam team start with a mixture of fresh fruits. Using a traditional copper jam pot, they macerate the fruit with sugar overnight. The next day they simmer the fruit in its juice until it’s jam. 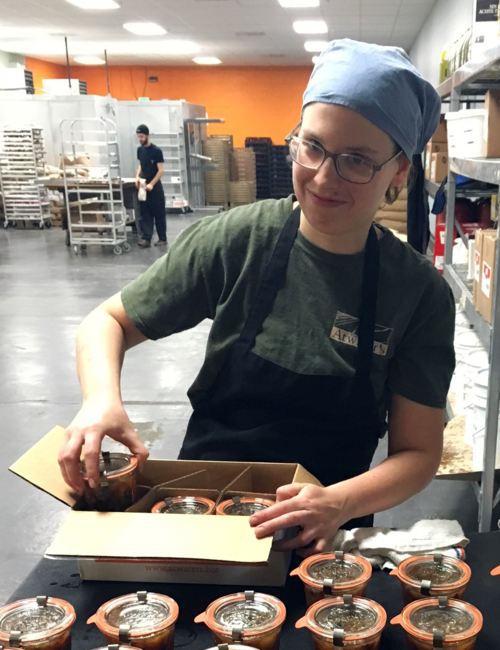 Jars are carefully hand filled and sent out to locations. Our handmade jam pairs perfectly with a selection of Atwater’s bread, enhances a simple cheese and cracker platter or takes a childhood classic PB and J sandwich to the next level. As seasons change, so does our jam. Our jam department also leads in the holiday relish, pickle and apple butter making. Sharing handmade and traditional products with our community is what built Atwater’s, and we’re sticking to it.